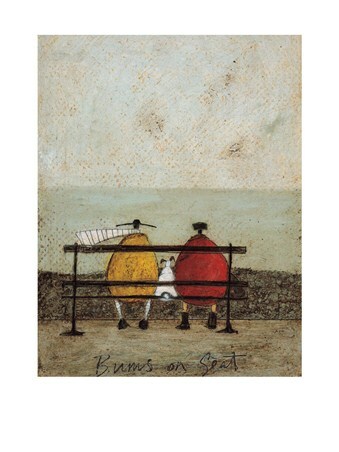 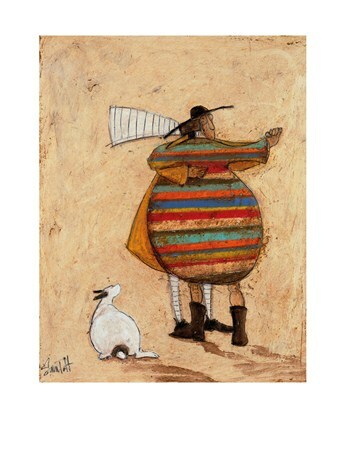 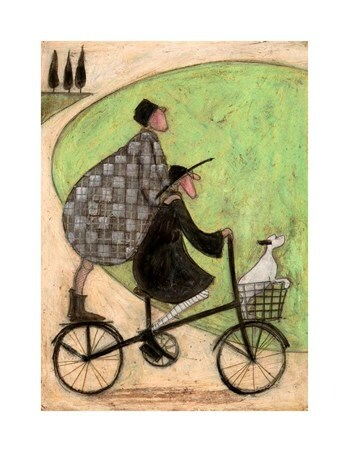 Art Print: Mr Ernest Hemingway Mustard fulfils his role as a gentleman once again in this charming print by Sam Toft which is called 'Double Decker Bike'. 'Ernest' is cycling, while his wife 'Violet' stands on a cleaver stand on the back wheel of the bike, 'Doris' has come along for the ride and is sitting in the basket on the front. 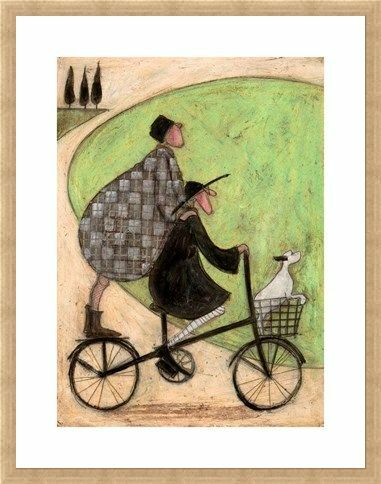 This charming print shows the lovely couple as they cycle past open fields and trees. High quality, framed Double Decker Bike, Sam Toft print with a bespoke frame by our custom framing service.